Our guide to Oklahoma City will help you find the best budget hotels in Oklahoma City Oklahoma. When people think of Oklahoma City, most recall the devastating bombing on April 19, 1995. Just recently, the city completed the National Memorial in commemoration of the 168 victims. But Oklahoma City has exhibited a courageous resolve to move forward. The newly renovated Myriad Convention Center, along with area hotels that offer some 12,000 rooms, makes the city a big draw for meeting planners. At heart, however, Oklahoma City is a frontier town, as evidenced by the National Cowboy Hall of Fame and Stockyards City, which is the largest cattle market in the world. Visitors should check out the historic Bricktown area, Remington Race Track, the International Gymnastics Hall of Fame, the Myriad Botanical Gardens, and the Oklahoma City Zoo, which is one of the nation's finest. There are tons of great budget hotels in the city of Oklahoma City, our city guide will help you find the best budget hotels. You may have a hard time deciding what to do in Oklahoma City, but we make your decision easy. 1101 E I 240 Service Rd, (405) 634-9595 - Fairfield Inn Oklahoma City South/Crossroads Mall is a budget hotel / motel / resort located in Oklahoma City OK.
1111 E I 240 Service Rd, (405) 634-9696 - Residence Inn Oklahoma City South/Crossroads Mall is a budget hotel / motel / resort located in Oklahoma City OK.
1301 W Memorial Rd, (405) 286-5199 - Best Western Memorial Inn is a budget hotel / motel / resort located in Oklahoma City OK.
13501 N Highland Park Blvd, (405) 948-8000 - Comfort Inn and Suites is a budget hotel / motel / resort located in Oklahoma City OK.
13520 Plz Ter, (405) 755-8686 - Fairfield Inn Oklahoma City Quail Springs North is a budget hotel / motel / resort located in Oklahoma City OK.
1800 E Reno Ave, (405) 235-4531 - Quality Inn Trade Winds is a budget hotel / motel / resort located in Oklahoma City OK.
1905 S Meridian Ave, (405) 682-2080 - Hampton Inn Oklahoma City-Airport is a budget hotel / motel / resort located in Oklahoma City OK.
2001 S Meridian Ave, (405) 682-3600 - Wingate By Wyndham is a budget hotel / motel / resort located in Oklahoma City OK.
2727 E I-44 Service Rd, (405) 948-8000 - Ramada Inn is a budget hotel / motel / resort located in Oklahoma City OK.
2727 W I 44 Service Rd, (405) 948-8000 - Comfort Inn Fairgrounds is a budget hotel / motel / resort located in Oklahoma City OK.
2801 W i 44 Service Rd, (405) 946-0741 - Days Inn-Northwest is a budget hotel / motel / resort located in Oklahoma City OK.
2811 NW Expy, (877) 863-4780 - Holiday Inn Express & Suites Penn Square is a budget hotel / motel / resort located in Oklahoma City OK.
3003 W Memorial Rd, (405) 755-7000 - La Quinta Inn & Suites Oklahoma City North is a budget hotel / motel / resort located in Oklahoma City OK.
301 S Council Rd, (405) 495-1232 - Best Budget Inn is a budget hotel / motel / resort located in Oklahoma City OK.
3201 W Memorial Rd, (405) 749-1595 - SpringHill Suites Oklahoma City Quail Springs is a budget hotel / motel / resort located in Oklahoma City OK.
321 S Rockwell Ave, (405) 787-1350 - Rodeway Inn and Suites is a budget hotel / motel / resort located in Oklahoma City OK.
3300 SW 29th St, (405) 685-6651 - Budget Inn is a budget hotel / motel / resort located in Oklahoma City OK.
3600 NW 39th St, (405) 946-3355 - Carlyle Motel is a budget hotel / motel / resort located in Oklahoma City OK. There are plenty more budget hotels in Oklahoma City. 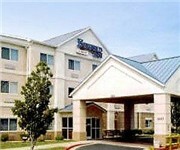 See all budget hotels in Oklahoma City Oklahoma.